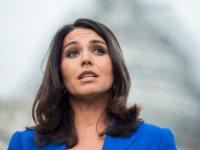 Being White means rarely or never having to think about it. Three major characteristics of Whites in the U.S. 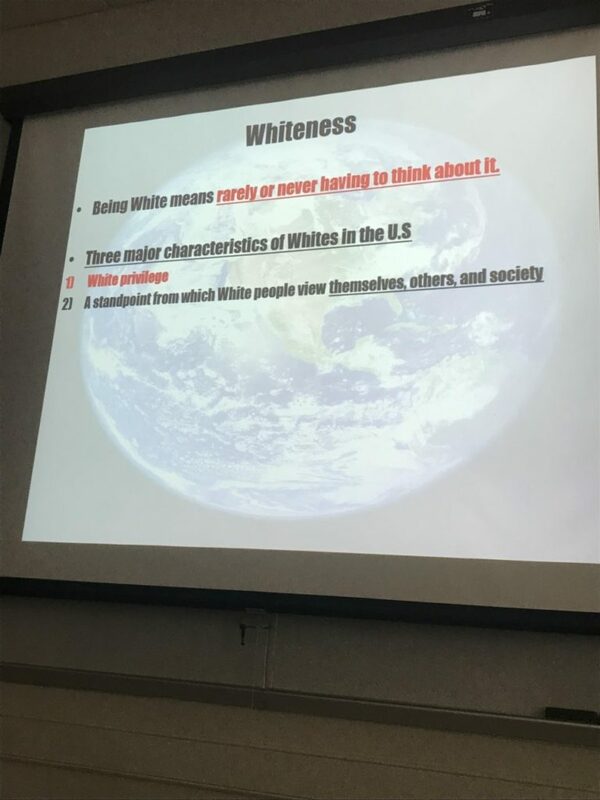 The professor’s third point about “being white” was not captured in the image. 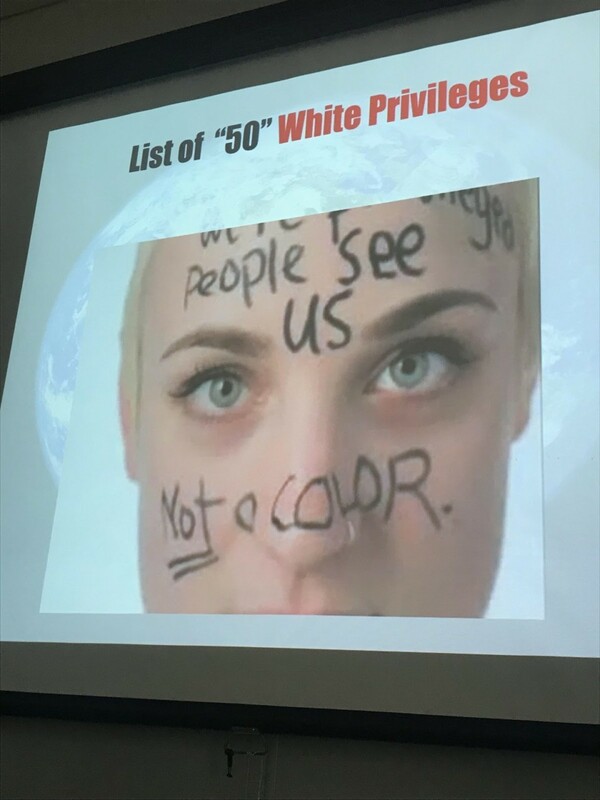 Another slide titled “50 White privileges” showed an image of a caucasian female with the words “we’re privileged, people see us, not a color” scrawled across her face. The 300-level course, titled “Intercultural Communication” is described as a “Study of correctable communication problems caused by cultural differences, analysis of problems from communication and cultural perspectives,” and an “emphasis on ways to avoid and correct such problems,” according to Salisbury’s website. Professor Han is an Assistant Professor in the Communication Arts department. 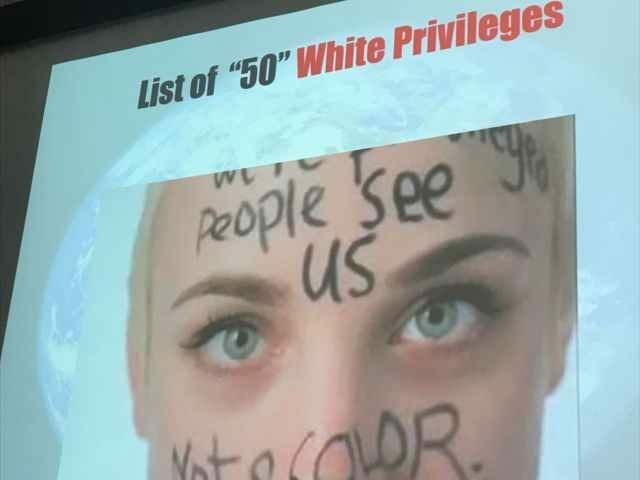 The professor lists “diversity issues” and “stereotypes and prejudices” as some of her key areas of research interest. Alana Mastrangelo is a contributor at Breitbart News. You can follow her on Twitter at @ARmastrangelo and on Instagram.